Everyone leaving feedback with us or sending us an image, by doing so consents to us posting that content on our website or related social media. We value your feedback - it's just one of the ways to help us maintain great customer service. This was my first order from Vancouver Tactical Supplies and to say that I was impressed would be an understatement. I found myself needing to replenish and overhaul several trauma kits with wound care supplies, haemostatic agents, tourniquets, and burn dressings with a very short turn-around time. VTS had all of the items I needed at competitive prices and, best of all, they were already on this side of the border, so no inspection delays or customs duties. My order was processed rapidly, packaged professionally before shipping and delivered in under 5 business days. There were two small items on backorder which arrived 3 business days later and as with other customers, the bonus Rite-In-The Rain notepad was a pleasant surprise. I can say that this certainly won't be my last order, as I already have my eye on a tritium compass. Vancouver Tactical will be my go-to source for field level gunshot/blast/gross trauma care supplies in the future and I would have no reservations recommending this company to both personal and professional acquaintances. "This is my second order with Vancouver Tactical Supplies, and with the service I have received I will certainly be ordering again. Even with your staff on a procurement trip, I received a courteous and prompt update when I placed my order, providing an accurate delivery estimate. The shipping service was excellent and items were well packed. ... I'm very grateful to have a vendor in Canada that provides useful, quality products that are otherwise difficult to source. The NSN numbers on the item descriptions can be very helpful. Please keep up the good work. As a Scout's Skills instructor (training Scout Leaders) my previous purchase was for a good navigation protractor and a G.I. lensatic compass. It's great to have a good quality lensatic compass for training and demonstrations. With a recent increase in requirements for emergency response volunteers in my municipality, I'm putting together a comprehensive bug out bag. While I've found a reasonable first aid kit ... almost all such kits lack items for severe burns or bleeding. With a quick visit to the Vancouver Tactical Supplies website and I'm set up with Celox granules and gauze, emergency bandages, SWAT tourniquet and Water-Jel burn dressings - all at a very competitive price." "Excellent shopping experience! My order arrived quickly and the items were exactly as advertised and perfect. I would definitely recommend Vancouver Tactical Supplies to my friends and will be a return customer!" "As usual the service and speed of processing of the order was excellent. Many online retailers could definitely learn a thing or two from Vancouver Tactical Supplies. I have had an opportunity to use the Karrimor SF backpack from my latest order and I have to say I'm very happy with the pack, it is extremely comfortable and is what I would consider a bargain considering its quality and features, the fact that they are a lesser known/rarer brand here is also a bonus in my eyes, it's nice to have a unique piece of gear that is of higher quality than many of the better known and more popular brands." "Hello, I am very satisfied with my recent purchases from you. Aquamira Frontier Pro in particular. I am satisfied with the quality of products but also of delivery. Thank you." "Wow, ordered on the Friday, arrived on the Monday. Shipped within 24 hours and fastest delivery. Perfect product for deployment or any milsim. Like all Karrimor Equipment, robust and well made. Would definitely purchase from Vancouver Tactical Supplies again." "Hi, Just to let you know I received my order complete and as advertised. Placed it on a Sunday, it shipped out on Monday, verified by the Post Office, received the tracking number and the parcel arrived on the Thursday. Can't ask for faster service and going by past experience, that seems to be the rule not the exception. Other on-line stores could take a lesson from that. Best regards." "Ordered ESS ICE Shooting Goggles late on Sunday. Delivered on Wednesday! You guys are making Canada Post look good! Quality, selection, price and delivery are excellent. Thank you." "Thanks very much. My first order was fast and correct and a fair price. It won't be my last order. " "I wanted to take this opportunity to thank you for the incredibly fast service. I placed the order on Wednesday afternoon and Canada Post was delivering on Friday morning. This is my second order with Vancouver Tactical, and so far both orders have been 100%. Who could ask for more. The gift of the Rite in the Rain notebook was a nice surprise as well. Thanks again for your service." "Thank you so much for the recent promotion you had where I won the Military Survival Kit. I really appreciate it and have not had service from a company like this in a very long time. Even without winning this prize, the selection, price and shipping speed were second to none. Thank you again and have a great weekend." "Hello. I just received my second order from Vancouver Tactical Supplies and you were just as efficient and a pleasure to deal with as the last time! It is refreshing to see a business that knows how important it is that the item is sent out quickly, and even when an item is backordered they communicate and keep the customer in the loop. I am very impressed with the service I received ... I will be sure to recommend Vancouver Tactical Supplies to my friends and family. Thanks again!" 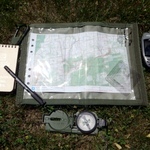 "My compass arrived in great shape today, thanks very much and the Rite in The Rain notepad was a nice bonus surprise! Thanks Again." "This is a great website with prompt fast service I would highly recommend it to anyone will shop from it again in the future." "I just received my second order and couldn't be happier with the quality of the products and the speed of shipping. I must say I really appreciate the thoroughness of the product descriptions as well, it seems so many sites have very basic descriptions with tiny photos not so with Vancouver Tactical and it makes purchasing with confidence so much easier. I will definitely be placing additional orders in the future." "I'm happy to take the time to say thanks for the quick shipping and fantastic communication. Very refreshing this day and age to get the extra mile from a retailer. Everything came as described and great packaging. Will do business in the future for sure!" "Hi, I want to inform you that today the item (Karrimor SF Sabre Hydro 30 DPM) already reached me at Malaysia. It is in very good condition and very good quality. I really like it ... Thanks a lot for the very good service. Sure I will make a purchase again from Vancouver Tactical Supply." "I recently made my first purchase from your online store and couldn't be happier. Fast, reasonably priced shipping and a great selection of quality products. I also really appreciate the gift you included. Perfect transaction! After a recent accident by a fellow shooter at a competition, it was starkly noted that no one had a "proper" first aid kit. The components I ordered will compliment my blowout kit well and I will recommend them to friends. Thanks again." 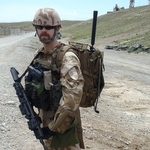 "I am always pleased with the service and the product from Vancouver Tactical Supplies. I am in the United States and the pricing and availability of the things I want to order are better than I can find in the States. My orders are always shipped quickly and packaged securely and I am sent tracking information promptly. I am a repeat, happy customer and would recommend this company highly." "Hello, Today I have received the package with knives. IS ALL PERFECT !!! Thank you very much. Best regards. Saludos!" "I just received my second order from your firm today and, as before, it was correctly filled and delivered promptly. Once again, the inclusion of an unexpected gift (Purell Cleansing Towels) was a pleasant, and welcome, discovery! Keep up the great work." "I was pleased to find your website as I was having a hard time buying some camouflage cream bearing an NSN number ... The purchasing was without hassle and the website is easy to navigate. I also found other interesting items while shopping for the camouflage cream ... Thank you for the easy shopping experience, I will definitely be buying from you again." "Received the omni pouch yesterday ... ordered it to carry 2 quart canteen and it fits perfectly." "Thanks for sending along my recent order. I've purchased a few things through your website, and I've always had great service and quick shipping. I find your items unique and of very high quality. Keep up the great work!" "Quick, efficient and friendly service. What more could you ask for." "Many thanks for putting my order through in double quick time this summer. Your suggestion of a Sabre 45 was just right. It has been through three expeditions so far - this weekend was a swamp near Daytona." "I don't feel like this is near enough, but thank you very much. You're a real special guy; few and far between." "Dear Sir, the bandages arrived on time and are exactly as needed. Thank you for the excellent serivice." "Thank you for a perfect service, I hope (to) buy ... other products in your store." "Wanted to say thank you so much for the incredibly fast service. I placed the order on Tuesday night and it was delivered on Thursday morning. I considered ordering these items from a UK supplier but with the exchange and shipping costs, it was just as cost effective to order the set from Vancouver Tactical. Plus I got it in a matter of a couple of days versus three to four weeks. Many thanks." "I was very impressed with your company's order process, website and the knowledgability of Mark who answered all of my questions succinctly and informatively. I rang off, ordered online and the item was shipped the next day... you are the only guys in North America who had anything I wanted - looking forward to ordering more in the future." "Very pleased with my recent order! Got it in a few days, it was well packed and everything was included as ordered. It's outstanding to see a Canadian,[Vancouver!] 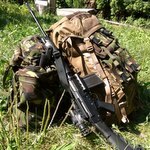 company selling awesome high end [Karrimor SF] and issue British military kit! More Brit MTP!!!! Brilliant service and hassle free. Will do business again for sure...Keep up the good work MOLON LABE!" "Thank you for the quick shipping on my Golok No.2 Machete! Great dealing with you!" "So pleased with my recent purchases from Vancouver Tactical Supplies! Arrived within 1 week and top quality items! Thanks to My new Pyser Compass I'm no longer an aimless wanderer!!! And the pocket saw works great, better than expected! Thanks so much, very happy with the service and product. Would definitely recommend to friends." "Thank you for the impeccable customer service, and the ever expanding line of products. I have ordered from you twice before, and will continue to do so." "Thanks for the quick delivery"
"I was very satisfied with the M-73 compass I ordered from your online store. The shopping experience was good and the compass is high quality and in good condition. I would shop with your store again. Thank you,"
"Just wanted to let you know that the clasp knives arrived in excellent order. Thanks for the note pad. It's funny, I already have a rite in the rain pen to go with it." "Just received my order and I am very pleased. Top quality knife as promised on the website and very prompt and professional service. I will defiantly recommend you to my service buddies. " "Well, I finally can give a review on my recent purchase of a Karrimor Sabre 45. My wife who is 5'3" carried the pack for 12 miles, the pack was 33 lbs. 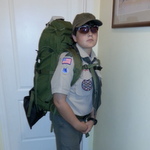 and she said it was wonderful, she was comfortable and the balance was good, shoulder straps and hip belt were very comfortable once we had them adjusted for her body and based on her sentiment I will be purchasing one for myself, very high quality, well-made pack." "I'm very happy with my purchases and at a good price too ... believe me I shopped around! Order was processed swiftly and arrived just as fast. It even came with a little gift. Score! This is the type of customer care that wins favour with people and will bring them back." "Hi, I have just received the Sheffield Jungle Knife, as ordered. Fast, precise and efficient, all that for an exceptional product. Just love it! Many thanks." "Just received the Ontario M3 Trench Knife , looks great, packaging was great, 1 week delivery and the price was right." "Just received my re-usable, waterproof Aquascribe notebooks - the product is brilliant and durable and as usual, the service was superb. Thanks VTS! " "Vancouver Tactical Supplies has an excellent supply of survival equipment. They had everything I was looking for and some things I didn't know I needed. Shipping was quick and efficient. I would not hesitate to purchase from them again in the future. " "Bought a BCB Mug for my husband for Christmas. He was pleased and the mug arrived with a free gift to boot. I enjoyed ordering and would do so again." "M11s arrived today, couldn't be happier, thank you so much, I hope you have a wonderful Christmas!!! You've certainly made mine complete by getting these to me so quickly." "My Fairbairn-Sykes is spot on. Delivery bang to rights and quality as promised. My one concern when ordering was that the product would be for display and not for use. Silly me! Straight up quality and definitely the biz." "Just a note to say thanks. The parcel (Three British issue Jack Knives) arrived today all ok. Thanks for the little VTS Rite in the Rain notebook; a real nice touch. Great service, as always. Thanks again." "Just wanted to drop a line and tell you that I just received my purchase today, on time and completely as ordered. The gift of the notebook was a nice gesture, greatly appreciated. I will certainly be doing business with VTS in the future. Many thanks." 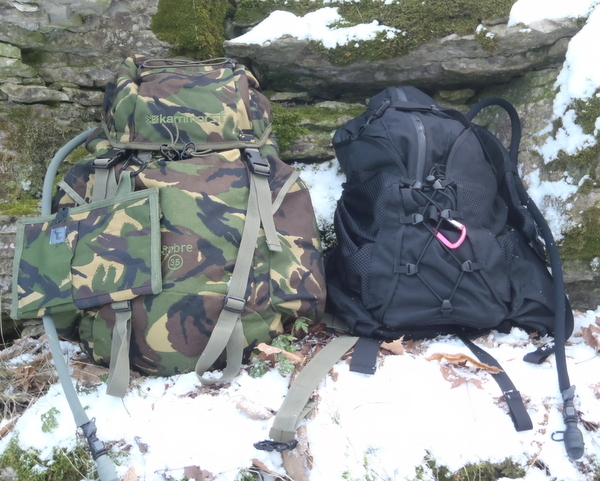 "We are very happy with the Karrimor SF DPM Sabre 35 and the Black Hydro 30 day sacks we received from you. They truly are the quality products you claimed they would be. The BCB survival tin we ordered is a welcome addition to our kit; I hope we never need to use it! Definitely will order from your company again. Thank you." " Thanks again for the rapid shipping and accurate completion of my order. Never any worries when dealing with VTS !" "Excellent service as always. Very fast shipping and excellent products!" "I thought I would let you know that my Crusader Cooking System (DPM) pouch arrived today, safe and sound and I am more than pleased with it and the customer service you supplied. It's rare these days to find this kind of work ethic in business, even in small towns, and even rarer on the internet. Thank you for this fine piece of kit and for all the trouble you went to, (Above and Beyond) on my behalf." "I wanted to let you know I was very pleased with my recent order and buying experience. The website was easy to use, there was a great selection and competitive pricing. After placing my order, it arrived within a few days exactly as specified. I will continue to make VTS my first stop for supplies and I look forward to dealing with you again very soon." "I received my 3 rolls of camo tape in a timely manner, and really am stoked about the notebook, it was a nice touch. I'm an instructor TDSA Canada (www.tdsacanada.com), I'll do a little write up on the camo tape and my good experience here in our next email blast to our email list ... Thanks guys!" "Hey guys - Got my new goggles thanks for the quick turn around, can I leave feedback? You guys are great I've already recommended my team to get their turbofans with you guys but I feel you deserve more. Upstanding job guys, that is what service is all about. Thanks." 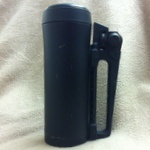 "Just a note to say the thermos is awesome but I had to make it a little more modular. Hope you like it!" "I order from VTS from time to time and invariably the shipping is very fast and the merchandise is high quality. Recently, I had to exchange an item due to an error on my part. The exchange was handled promptly, courteously and was completely hassle-free. It's always a pleasure to deal with VTS." "Just wanted to pass on directly The new (Karrimor SF) Predator 80-130 is Awesome. Thanks again. " "I ordered a shemagh from your fine company and was very pleased with this item. Product is of superior quality, is the perfect color and design, and I was amazed at how fast it arrived at my residence. Thank you for the extra gift too! That was a very pleasant surprise! I will be a return customer for sure!" "Just wanted to say thanks for the excellent service. Both my orders shipped fast, and well packaged. Looking forward to purchasing again, and thanks for the note books." "It's great to work with an organization such as yours that has sales representatives as knowledgeable as I am about their equipment. His jovial personality and his sincere disposition made shopping with you a distinct pleasure. It's quite evident he really cares about those customers that patronize your store ... will be referring all my friends, and all my hunting partners to your site. Many thanks ... everything I purchased will last a lifetime. Many Thanks Vancouver Tactical, Five out of Five Stars. EXCELLENT IN EVERY CATEGORY." "I just received my third order from VTS today. The SF Karrimor Hydro 30 ... Military/Marine Binoculars and OKC Jungle Machete are all very high quality products. I can't emphasize how far this company goes to deliver awesome kit at the best price on the Internet..."
"Recently ordered a Karrimor SF Hydro 30 online. The product was processed and shipped very promptly and was able to track it while it was shipped. No problems and would definitely purchase from VTS again." "I recently buy a ESS Turbofan Tan, the shipping was super fast. I am from Montreal and I am very happy with my new Goggle. Thank (you) Vancouver Tactical Supplies." "Recently bought some ESS TurboFan Blacks from you. Paid Sunday, got them yesterday (Wednesday). No complaints on shipping time or service, in fact you even answered my inquiry on Saturday really quickly which lead to the sale on Sunday...Will have no problem recommending you guys to friends + family." "My order for the ESS Asian-Fit Profile Turbofan goggles went very smoothly. Communications were excellent, the order was promptly shipped, and the received item was exactly as I expected. Thank you for the excellent customer service." "Thank you Vancouver Tactical for your assistance in helping me choose the appropriate Black Horse Map Case. I had been searching for the perfect map holder and the Patrol Leader's case is it! It is very well built, kept my map safe and dry all day (in the rain) and was pleasure to have clipped on my gear. I would highly recommend this product and your very helpful staff to anyone. Keep up the great work." "I just thought that I would let you know how impressed I am with the versatility of my DPM Camelbak Thermobak 3L. Not only does it fit on the side of my Karrimor SF Tecmac 50 incredibly well, the other day I didn't need a large rucksack and found out that a PLCE side pocket mounts quite nicely to the back of the Thermobak using the attachment clips and when using the shoulder straps I had a very comfortable daysack/hydration pack combination. Thanks again!" "Thank you. I appreciate you keeping me in the loop the whole way. I will definitely deal with you in the future as well as recommend you to others." "I am very impressed, and as someone whom buys a lot of tactical gear from many different companies, it takes a lot to impress me. First, Speed, Can't be beat. I had my order days later, no hassles, delays or excuses. Second, Quality, Top drawer, every piece! Third, Customer Service, I ordered (among other things) a tactical notebook kit, and I got with it, not one but two notebooks. This was not only necessary (notebooks are small) but very generous and puts the customer first. They could have cheaped out, sent one notebook, and fulfilled their obligation, but no, they went the extra mile, which is so important, but sadly lacking in the majority of companies. To say I'm impressed would be a gross understatement." "Thank You for swift proccessing of the order. I am very satisfied with your company and I must say that I do not know much companies with such customer service. Thank You and I wish You more satisfied customers like I am and my colleagues are." "Thank you for the excellent service and products. Received order quickly and at great price. Thanks also for the notebook lagniappe. Will do business with you again and recommend highly." "We are extremely happy with the British mess tins and Crusader cup / canteen / stove combination we received from VTS. After cooking our meal on the trail this weekend my family thinks that I'm the "Gordon Ramsey of the wilderness". Your products are the best!" "I just wanted to thank you for the excellent service and fine product. I received the mug very quickly, in time to take with me to Idaho! It worked very well, there is nothing like hot coffee in the field!" "I ordered the 3 pc British Pocket Knife and received a really quality product for a reasonable price. I also received excellent customer service, and concerns were resolved beyond satisfaction. Shipping was also incredibly fast. I will order again and highly recommend Vancouver Tactical Supplies-Thank you!" "Good day, Yesterday I recieved my Karrimor (TECMAC 50 & Side Pockets). Thank you for your fast shipping and great communications! And thank you for your letter in my native language. It brights my life here in Afghanistan. Thank you again." "The Cammenga Compass is in a class by itself. The quality, durability, and construction of this compass is 5 star! ... Issued to many Military's throughout the world, I place the Cammenga Compass among the finest in the world ... (Vancouver Tactical Supplies) provided a good price and very fast shipping!" "Very good service and very accommodating to local buyer in Vancouver. Got my order quickly and everything is exactly as described plus a nice extra gift ... BIG THANK YOU!" "I just wanted to drop a quick note and comment on the stellar service I received in regards to my first order. My order was placed on a Sunday morning and was shipped that same afternoon. I received said order on Tuesday morning, pleasantly surprised to find some extra goodies as well as being very pleased with the speed of delivery ... it was the first order, certainly not the last. Overall, very easy experience, exemplary service." "I received my order today and I wanted to pass on a big thank you! Your customer service is outstanding, you exceeded my expectations and thank you for the extras. I will definitely be placing more orders in the future." "I just completed my second order through VTS and would like to say i'm impressed with the quality of their products, their prices and their customer service. I will definitely keep them in my retailers list for some time to come ... These guys go the distance. Thanks again, more business to come in the future for sure." "Received my order today and just wanted to thank you guys for your good prices, quick delivery and great customer service." "This is the second time that I ordered from Vancouver Tactical Supplies. Their customer service is fast and got all my questions answered ... in the near future I'll be making another order." "The staff was very prompt and polite over the phone and my order was shipped very quickly and received in good order with exactly what I had ordered. Vancouver Tactical Supplies has been a pleasure to deal with and I wouldn't hesitate to order product from them in the future or recommend them to colleagues." "Today, I received the bayonet. It looks great and it is everything I could want. Your service is very quick ... You included a wonderful notepad and I hope to use that tomorrow at work - THANKS." " I received my order today. Up until I found your web site I had only been able to find this item in "type" or "style". These genuine British Army NSN stamped aluminum mess tins are exactly what I have been searching for. VTS really "pulled a rabbit out of a hat this time"! Thank you." "Excellent website, excellent product, excellent customer service, sincere concern for the clientele. A DEFINITE WINNER ALL AROUND. I will definitely be doing business with you again." "Good prices, very fast shipping, and excellent product quality. I will definitely be placing another order soon for more gear." "I definitely liked how fast my order arrived and everything was there perfectly in the box and you also threw in a free all weather notebook which I thought was a wicked touch so I was very happy and will use you guys again for sure!" "You have great products and your service is top notch. I bought a handful of your thermoses for myself and gifts. This is my second one so I'm familiar with your durable product. I gave a few away as gifts to my fellow hunting friends who are also in the military ... they love it. Especially the size, great seal and ability to keep a cup of joe hot in the field. Thanks again!" "After deciding what I wanted to purchase, the payment transaction went flawlessly. The order was sent out and received very quickly. On top of all, I really appreciated the communication that keeps you up to date on whats going on with your order. All that to say, that I would and will do business with you guys again." "I received my ESS Striker googles and must say I'm very impressed with the speed of shipment, especially around the holidays. I found the website to be well laid out and easy to use. As a troop commander with 1RCHA in Shilo, Manitoba I can definitely say Vancouver Tactical Supplies will be my first stop for all my tactical shopping." " I must say I am impressed with the fast shipping time -especially during the Christmas season. This is not my first time dealing with VTS and, as before, I am completely satisfied with the quality of the goods I received. It seems every order also comes with a small, thoughtful extra ... That sort of thing is a nice surprise and much appreciated." " I just received my second order today. As before everything was exactly as promised, expertly packaged and shipped ultra fast! My genuine OKC 3S is a real beauty. Your quick responses to the questions that I had were greatly appreciated. VTS is a One-Stop High End Kit Shop!" " I found your catalogue to be user friendly and your prices to be very reasonable. My items arrived well packaged within the week. I would definitely purchase from your business again." " I just received my first order in the mail and I am very satisfied. I found you guys using google and your website was very easy to use and shop on. The products I ordered appear to be very good quality. I received very fast responses to my email inquiries. I'm very impressed and have just completed my second order. I look forward to shopping at Vancouver Tactical Supplies more in the future and will definitely be recommending you to all of my friends." " The level of customer service is outstanding, I initially inquired about a product and whether it could be obtained. Before I knew it was in my mailbox. The whole process was painless and pleasant. The better than I ever expected and better than a lot of other dealers in Canada or the US." " I received my order today and everything was perfect. Super fast shipping! Thanks." " I have just read your latest e-mail and am completely speechless. You Sir, have done a very uncommon thing in todays internet retail business. You have gone way "above and beyond" my expectations to maintain customer satisfaction. I honestly do not know what to say other than..... Thank you." " Thanks for getting me the BDU's ... they're great and just what I was looking for." " I just received my order and was very pleased with the service and quick delivery time. I also very much appreciated the tactical colour hand sanitizer...Thanks again for the great customer support!" " I got the product I ordered in great condition. The whole process of ordering, paying and delivery was painless and pleasant. See me coming back for more stuff. Vancouver Tactical is outstanding!" " I don't normally give feedback, but this UK Machete sheath is an excellent product. This is my second such sheath, the first is used with the martindale machete, and the second sheath is used for a large hard use knife. As always VTS makes ordering easy, and shipping is fast. A great place to do business!" " I'm nothing short of giddy at the level of support I got during my last order. Even with the site down they were even willing to help me out through e-mail. What a super level of commitment to their customers. Thanks VTS." " Very happy with your service. The package arrived securely packaged and the extra gift was a nice surprise!" " I think your site is great, with a good selection of time-tested products. It's also easy to navigate. The transaction was easy to complete and - despite the postal strike - the package arrived in good time. Also, thank you for including a promotional rite in the rain notebook; it was a pleasant surprise and a thoughtful touch. I'll definitely be back for more supplies." 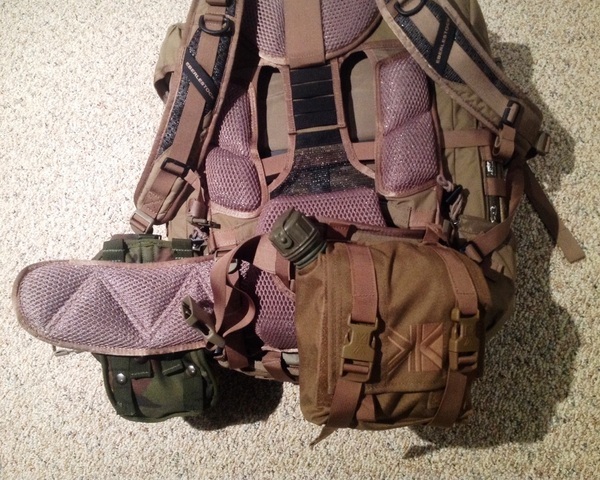 " I recently purchased some gear from Vancouver Tactical Supplies.They shipped it fast and all the ordered gear arrived in good time and in great condition. I'll never hesitate to order from them in the future for my Military gear needs." "I just received my package today. Everything was packed nice and clean, all in pristine brand new condition. I will definitely order again in the future." "I am very satisfied with my order. Excellent service!! Great products!! Thanks for the gift, I will highly recommend you guys to my friends!! Cheers!" "Just a quick note to let you know how very satisfied I am with my order . Products genuine , prices fair and service excellent and a good selection . I'll be back. Thanks." "I just wanted to thank VTS for having such great products, shipping so promptly and for including a free notebook in my past order. It's great to see there are a few good business left!" "Received the package today. Very happy with the product. Excellent factory edge. I hope to do business with you in the future ... a pleasure doing business with you gentlemen." "I just wanted to say thanks for such an awesome fast order-processing. I've already received my knife ... and cheers for the sharpener! I'll definitely be ordering again." "I got my bayonet yesterday. Thank you very much for sending so fast this superb knife..."
"The item arrived today. Thank you for the excellent service." "...I received a surprise package from you ... 2 Israeli bandages to replace 2 of older manufacture. Two thumbs up for top notch customer care and attention to detail. Thanks!" "Just picked up the Shemaghs. Great product and thanks for putting in the two notebooks." "My order arrived today all in good shape. My thanks to you and your staff for your efforts to ship it so quick." "So I've worn the boots a few times. I gotta say I like them. Light and comfortable. Good product choice." "I appreciate (the) extra mile you guys went to get the next best possible product. I would recommend you guys anytime!" "I received the items a LONG time ago. I am a satisfied customer. Thanks for the thoughts and follow-through, but all is well and the items arrived fairly quickly. Thanks again." "VTS, I recently placed an order, and could not be more pleased with everything. The price on my Aquamira frontier pro water filter was excellent, the checkout through paypal was effortless, and I got my package in just a couple of days! I am very impressed, and hope to do more business with you in the future." "Thank you very much for the excellent service...Your price for that compass is one of the lowest on the net. Your shipping is possibly the fastest I've ever experienced."